Auto Credit Express can match you with the dealership that can approve you for a car loan even if you have imperfect credit. But the subprime auto loan process works a little differently from that of a traditional car loan. One difference is that you will need to bring more documentation to the dealership, and we are here to let you know what you'll need. With any car loan from any lender, you will be required to furnish documents such as proof of insurance and a valid driver's license. When getting a subprime auto loan, you will be required to bring a few additional documents. If you are wondering why, it is because a lender is taking on a higher risk when funding a subprime auto loan. 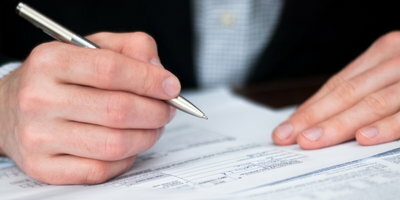 By requiring extra documentation, the lender is just taking extra care to make sure that the loan will be successful for all parties involved. Your valid driver's license - Valid means that it's not expired, revoked or suspended, and that it lists your current address and is issued by the state in which you reside. 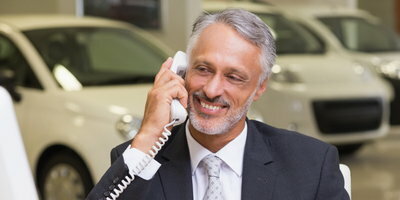 Proof of insurance - Make sure to include your agent's name and phone number, but don't add a new car to your policy until you have been approved. Proof of residency - All you will need here is a recent utility bill (water, electric, etc.) with your name on it to verify that you live at the address you provide. 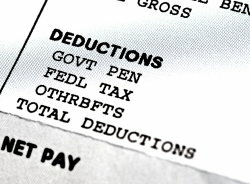 Proof of employment - You'll need to show a computerized pay stub with your year-to-date earnings on it. It also has to be from within the past 30 days. If you are self-employed, then you need to be prepared to bring up to two years of professionally prepared tax returns. A list of personal references - Typically, the finance manager at the dealership will want a list of six references. This can be anybody - a friend, a relative, a coworker - who knows you on a personal level. Provide the name, address, and a phone number for each person. However, none of the references can be listed under the same address. Make sure that you get their permission first because they may be contacted by the lender. Phone number verification - The phone number that you provide on the application has be working and in your name. While you can provide your cell phone number, you can't do so if it is a prepaid one. There are also a few circumstances that will require you to bring further documentation. 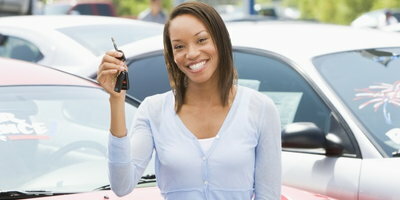 If you plan on trading in a vehicle, make sure to bring the title with you. 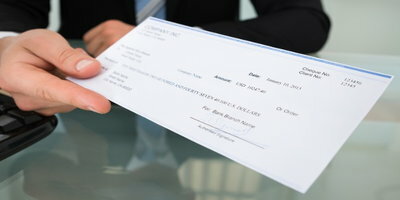 If you have completed a bankruptcy, make sure to have the discharge papers with you. If you are in an open Ch. 13 bankruptcy, make sure to bring the appropriate paperwork after you have received an Authorization to Incur Additional Debt from the court. If you have all of these documents with you when you first meet with the finance manager at the dealership, the loan process will go smoothly. They will have all of the information their lending partners usually require and they can transmit it over right away. In turn, that allows the loan decision to be made as soon as possible. Not only will it eliminate the need for you to return to the dealership multiple times, being prepared will also put you in a favorable light. You'll be seen as responsible and extra committed to the purchase, which can only help your case. Just as having all of the documents ready will allow the loan process to be as efficient as possible, applying with Auto Credit Express will make finding a dealer just as easy. If you have less than perfect credit, we can match you with one in your area that is ready and able to get you back on the road in no time. All you have to do to get the process started is fill out our secure and obligation-free online application. Start today!